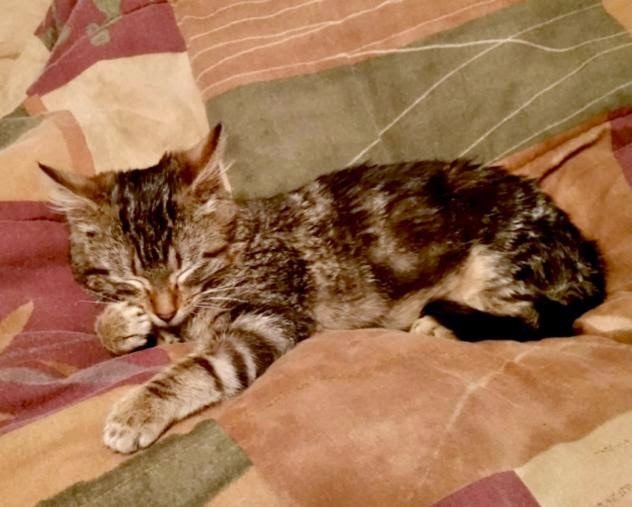 Murphy was found wandering around a Wal-Mart parking lot on January 05, 2015. The lady who found him (she is calling him Murphy) took him home to keep him warm and fed but she cannot keep him. She needs to find a rescue/home for him as soon as possible. She will be asking for Vet references so he will not end up in the wrong hands. Please go to Murphy's Petfinder page to find out how to contact to get more information. Good luck Murphy. We hope you find a home. We always like hearing from people! We Would Love To Have You Be A Member Of Our Pack! Wordless Wednesday-Got Myself A Big Chew!